Made for you, you, and you is Urban Skin Rx, a line of clinical skin care products that contain proven and effective ingredients that address, correct and even out all skin types. These targeted products have been proven to diminish and eradicate issues associated with diverse and melanin-rich skin. Purifying Pumpkin Pore Detox Mask & Scrub ($16.99; 2.5 oz.) – nourishing, self-warming, deep cleansing mask combines minerals, enzymes and vitamins to reduce pore size, cleanse, hydrate and rejuvenate skin. NEW Even Tone Super Glow Serum ($26.00; 1oz.) – brightening and anti-aging antioxidant powerhouse designed to pull out the best in your complexion. Contains a blend of ingredients that work synergistically to improve the appearance of dark spots and sun damage, as well as reduce the signs of aging by firming and smoothing the skin. NEW Clear and Even Tone Clarifying Pads ($19.00; 30 ct) – powerful combination of acids to help shed the weight of dead skin for a smooth and even skin tone. The multipurpose pads contain AHAs, or alpha hydroxy acids; chemical exfoliants that break the bonds between old, dead skin cells and new skin to accelerate turnover. NEW Clear Complexion Acne Serum plus Spot Treatment ($19; 1oz.) – reduce and prevent future breakouts while Arnica and Echinacea ingredients help to fight inflammation of cystic acne and scarring left behind by acne. Excellent for quickly healing and shrinking breakouts and pimples. Of all the ULTA launches I used the Clear Skin Cleansing Bar, the Purifying 2-in-1 Pumpkin Pore Detox Mask and Scrub, and Clear & Even Tone Clarifying Glycolic Pads. 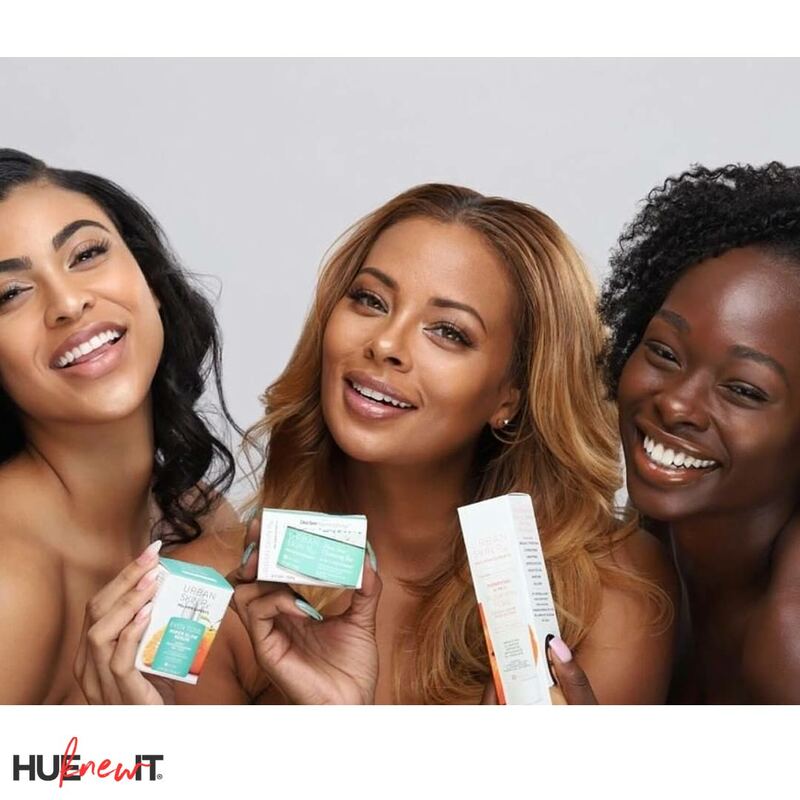 As I used each product, before even scooping and squeezing anything onto my face, I took the great packaging from the diverse model images, to the messaging that let me know exactly how that product would solve my problem. I couldn’t get away from the medicinal smell of Clear Skin Cleansing Bar, which by the way came with two sponges…love that. The consistency is more like a balm that you simply let the damp sponge glide across. Once applied to my face I felt a good tingle, which made think its active ingredients were going to work deep in my pores. As soon as I applied 2-in-1 Pumpkin Pore Detox Mask on my damp face I felt a warming sensation, which was soothing. The number one plus for me was how the enzymes worked to eat away at the hardened skin under my chin, also known as hyperkeratinization. Simple to use are the Clarifying Glycolic Pads contains all the necessary AHAs to help rid my face of old skin and sets the landscape for new, healthier skin to grow. 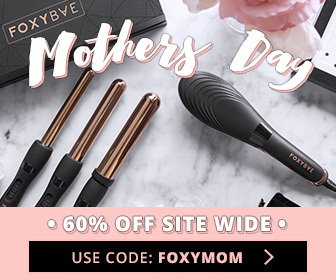 This entire line reminds me of my experience working as an esthetician and seeing the client react to their improved skin. 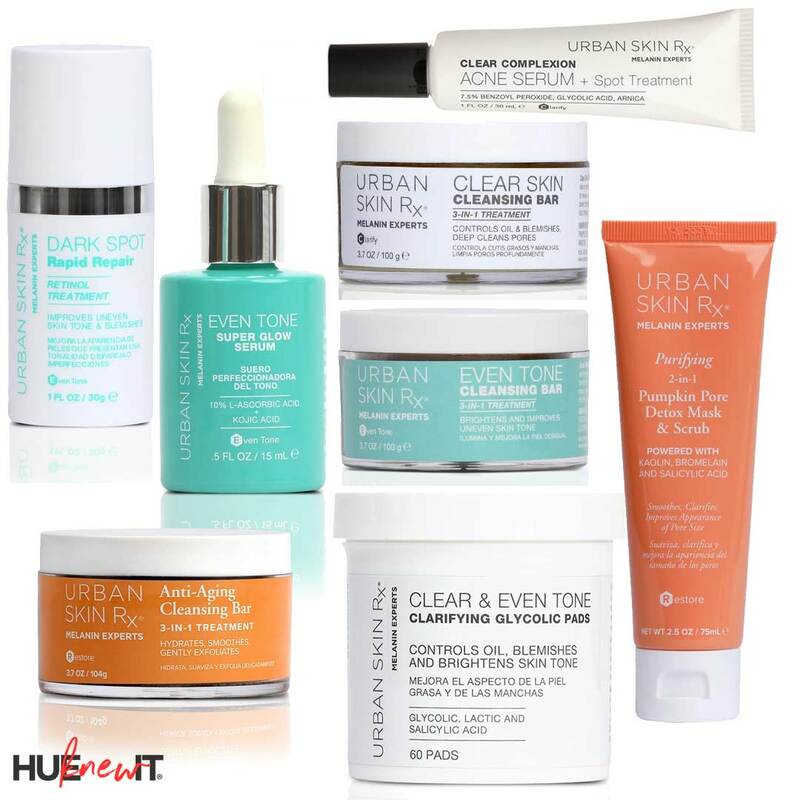 If i had a skin care practice, I would definitely bring Urban Skin Rx into my retail space.